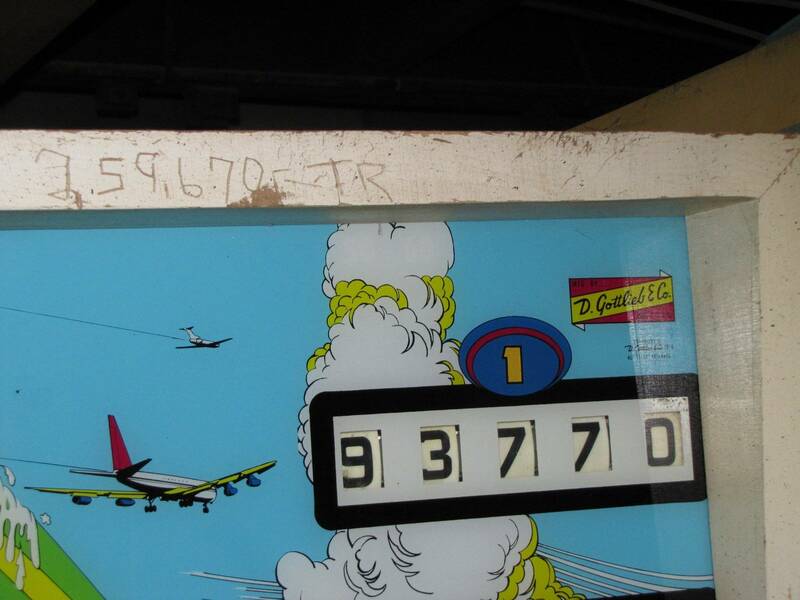 written on the backglass) to take a pic..
flip, and fell just short of a 3rd for a score of 293,770. 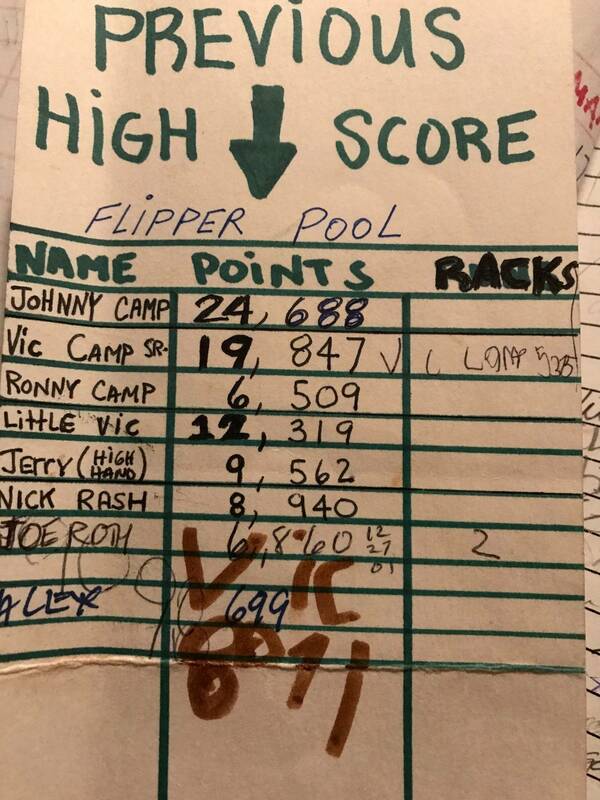 Any other rememberable high scores out there (especially a flip on a 4 digit AAB machine)? 'Hi Dolly' (it is not a AAB) scores that were on Pinside, by a past member were posted in the 7,000 range. That seemed really high. To get a score over 1500 is tough to do. The game has an Extra Ball feature it is only by chance that the Extra Ball is won. Sing Along: In Feb 2012 my score book reads 8,534 and 10 replays. Man....i had that wedgehead singing a tune. 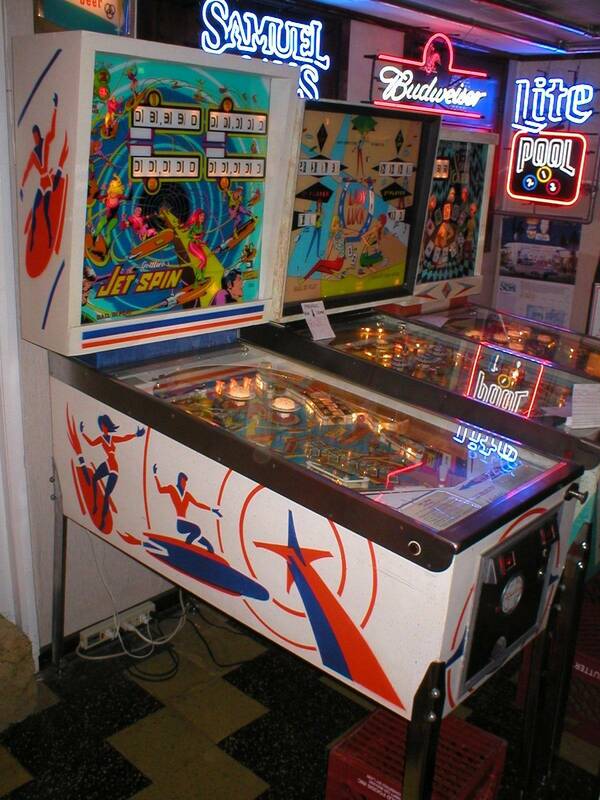 Flipper Pool: This (add a ball) game is no longer in my collection, but got a high sore of 19,847 in 1999.Many pool ball racks were reset and i remember it going on for much longer then a replay game. 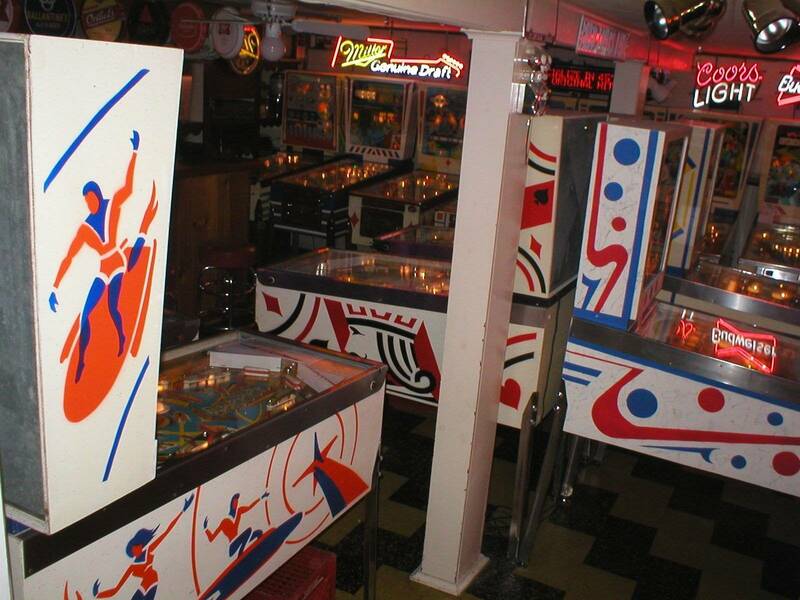 Skill Pool: I have this game in my garage game room and the book says in Sept 2006 i scored 2,985 points and 4 replays. Also had 2269 in 2004. 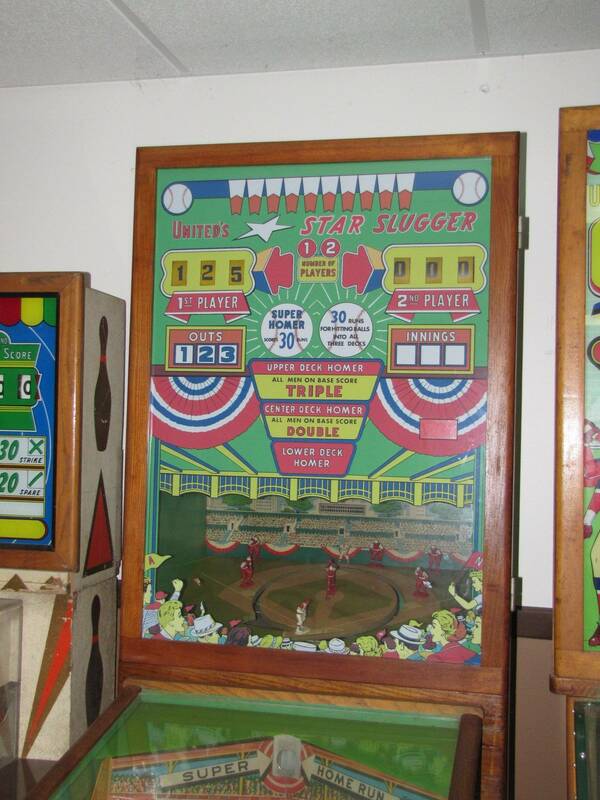 Play Ball: Game is no longer in my collection but have page from high score and reads 9,264 points and 44 runs with 5 replays. 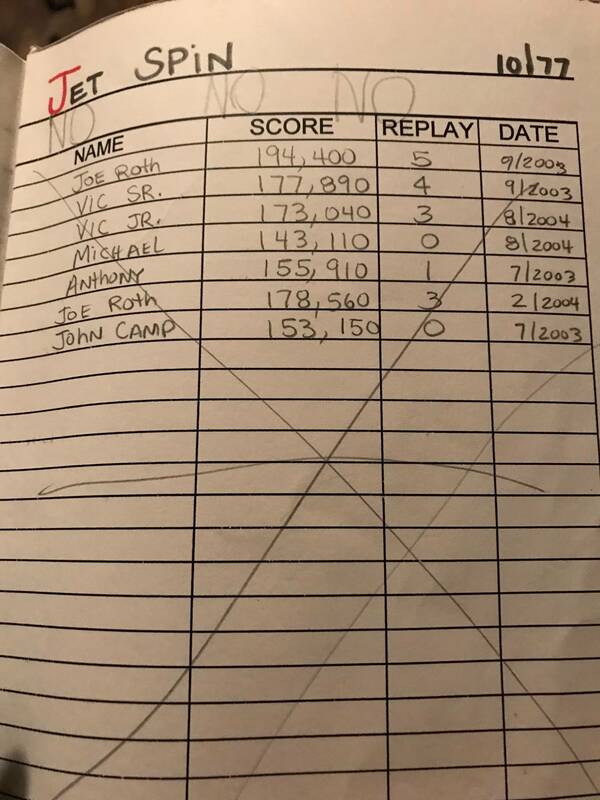 Volley: My score books reads on April 2007 i scored 306,240 points and 8 replays.Wish i timed some of these games. 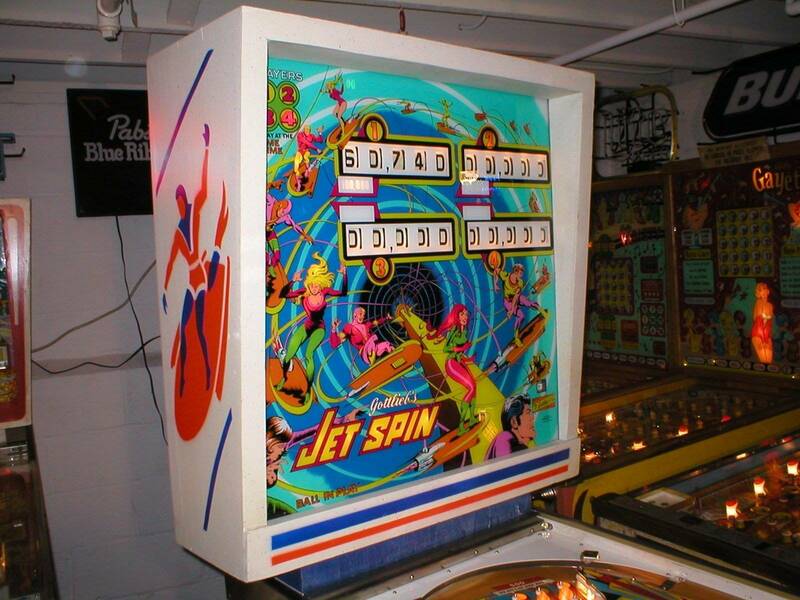 Jet Spin: Sept 2003 my high score book reads 177,890 and 4 replays.Highest score in my book reads by (jrpinball) is 194,400 and 5 replays. 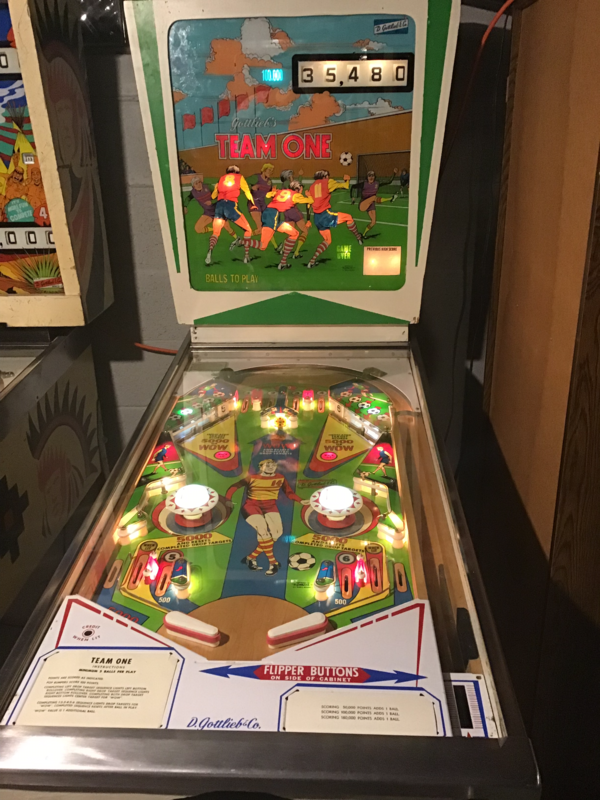 This game is no longer in my collection, but still have documentation recorded and sold it to a friend 2 miles from my house. 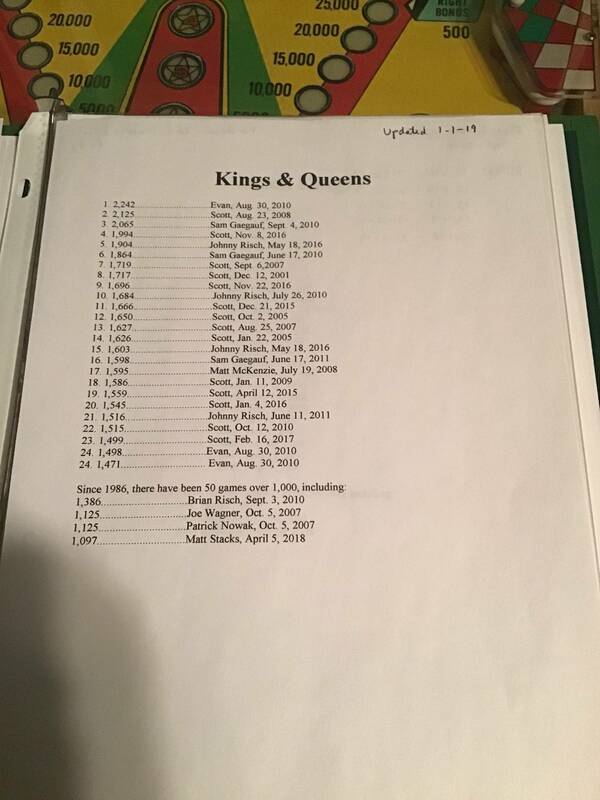 2001: High score book reads in May 2003 i got 16,914 and 8 replays.Recently i had 14,186 in Feb 2010. Target Pool: My score books reads in Sept 6th 2011 i got 16,797 points and 10 replays. 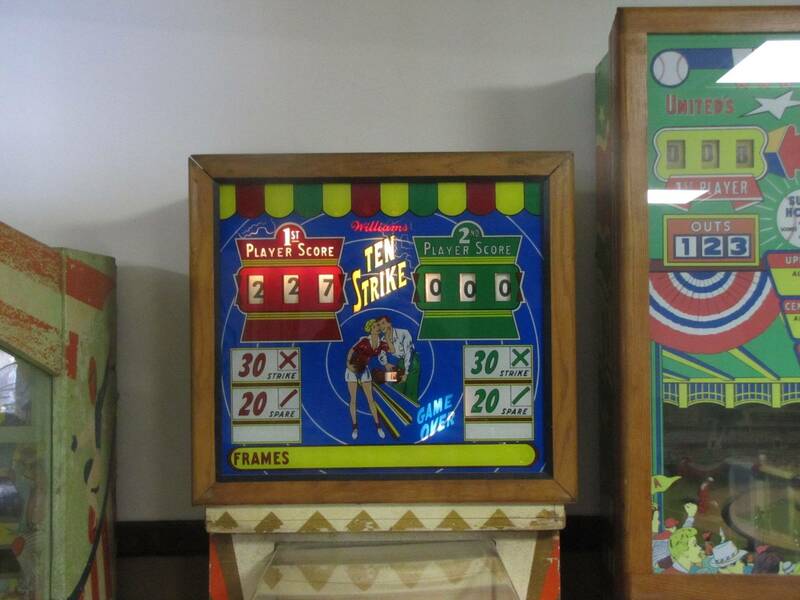 I had 15,167 back in 2005 and in May 2008 i only scored 10,470, but maxed the credit wheel out for 15 free replays.Lots of knocking going on that game! 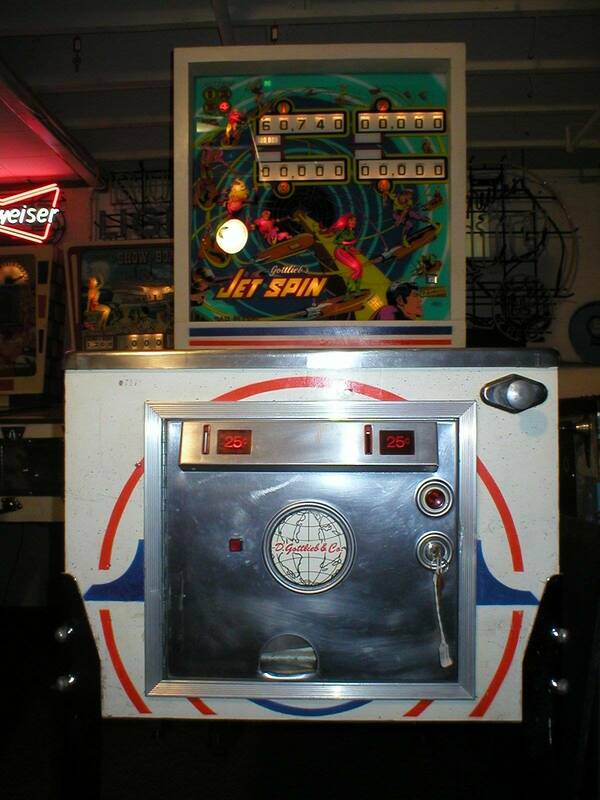 Sure Shot: High score book reads 185,690 points in Aug 2006 with 9 replays maxed out on the half moon credit wheel. I’ve rolled Atlantis a few times. Hard to do. I have to think somewhat they're world class..
remember, Fun Park is the only 4 digit AAB that I have flipped..
My best is probably hitting 377,040 on Gulfstream set for 3 ball play... I’ve only broken 300k on it two other times, and it still is played a TON. Our son Caidon who is now a freshman in college, scored 7063 (8 total replays - 4 on score, 4 specials) on WMS Apollo when he was just a 4 year old... 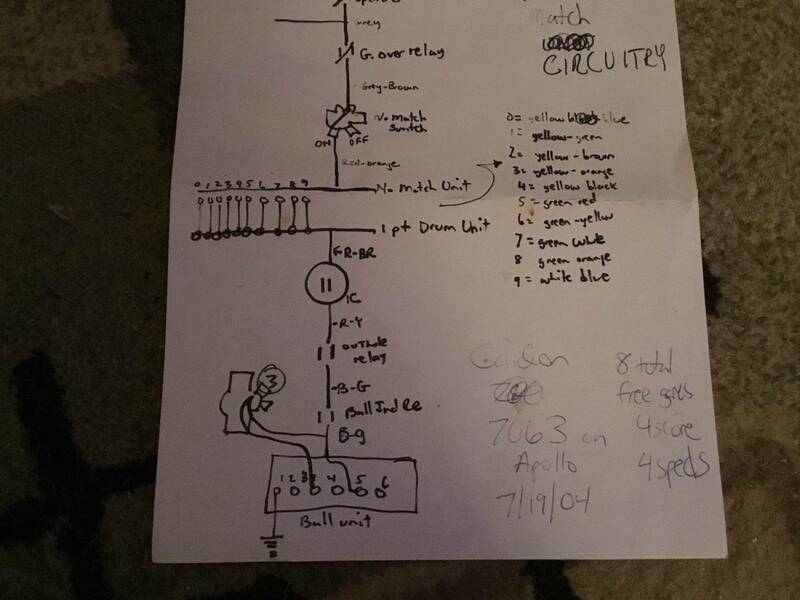 I had written it down along with the Apollo match circuit issue I was trying to solve at the time; I found this last week when cleaning out a bunch of junk in my pinball ducument cabinet. I texted him this photo... we both got a big smile from this memory. Real hard. I think my best on it is about 130k with 12 replays. 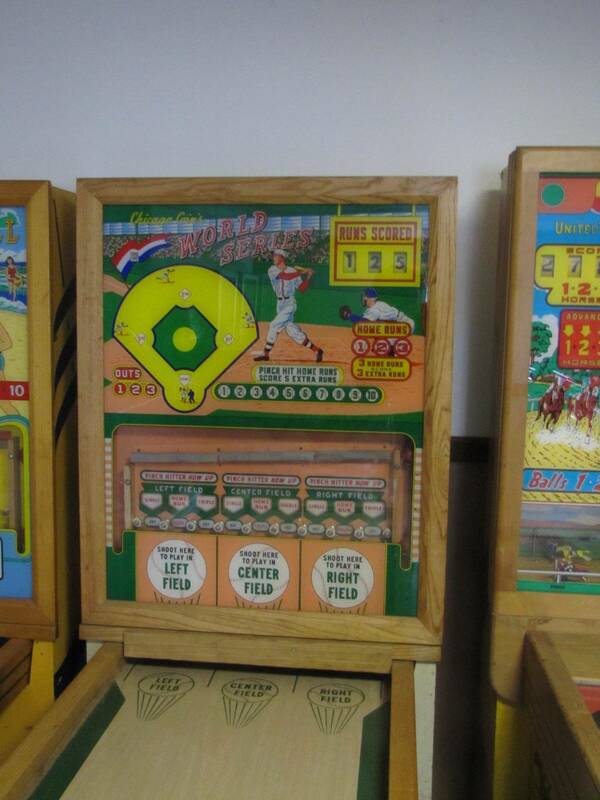 and got the hundreds reel in motion by getting the 3 decks in the same inning 3 different times.. Coincidentally, today while waiting for paint to dry, I got the same score on the World Series Shuffle. Topping 100 on this Shuffle (for me anyways) is a pretty good score.. There are several settings that directly affect high scores so sometimes a number alone doesn’t tell you much if you don’t know what the settings were. One time I was working on the 4th rollover of my Bon Voyage, around 350,000 points, and I had about 7 balls in the bank (you can get up to 9). I just gave up. It had become too easy (and boring) and the settings were too liberal. Who knows I could have gone to a million if I had the patience. AAB make it worse. Once you get good at getting the extra balls it’s too easy to keep it going. 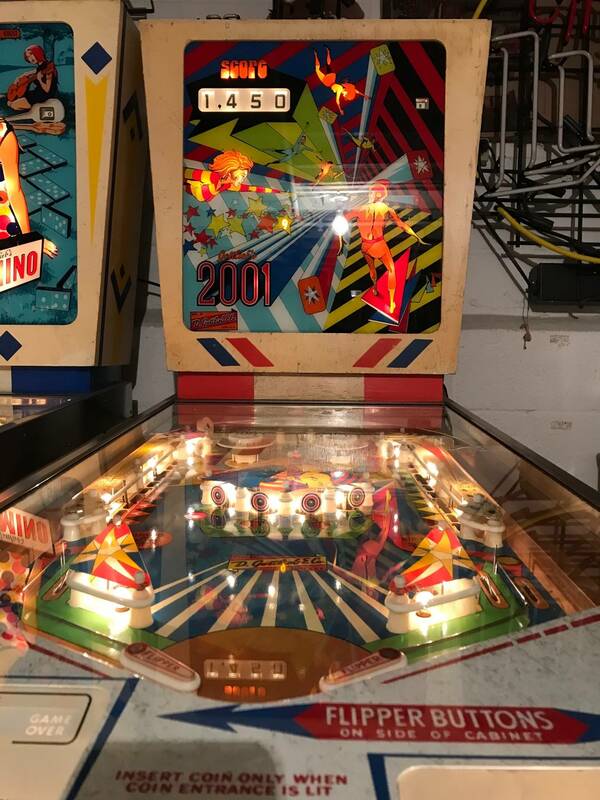 When I did this I had it set for 5 balls, the “difficult” setting for the bonus lights (hit them all one at a time rather than getting a pair at a time), add a ball for getting the bonus, and add a ball for getting 125,000 points. Now there are no more free balls, I have it set to give a credit for the bonus and for the high score. This cuts the high scoring way back, although for me I can still roll it over with 5 balls fairly often. One rollover is ok as there is a 100,000 light so the max score becomes 199,990. 3 balls would make it a good challenge but I keep it at 5 because that is more friendly for guests. My incentive now is to try to win games and make the credit wheel number go up (even though it’s on free play anyway). Nice scores on your pitch and bat games. You have a fantastic collection of machines too. It's great you share them here on pin side. 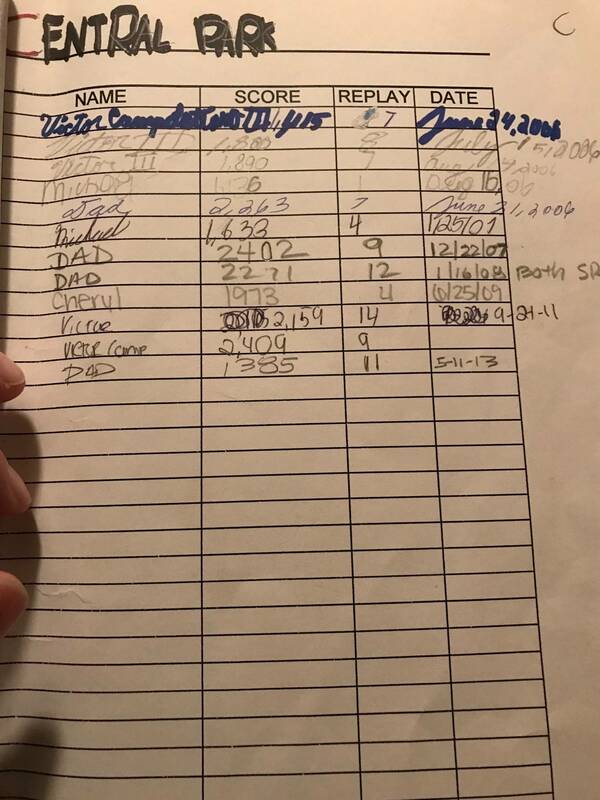 Check some pages from my 20 year old High Score Book..
get enough extra balls. Very hard to flip..
but wish I kept better track. Kinda like wanting to see that memorable photo that never was takin'.. I have always kept track of high scores, because everyone always asks after playing a satisfying game. 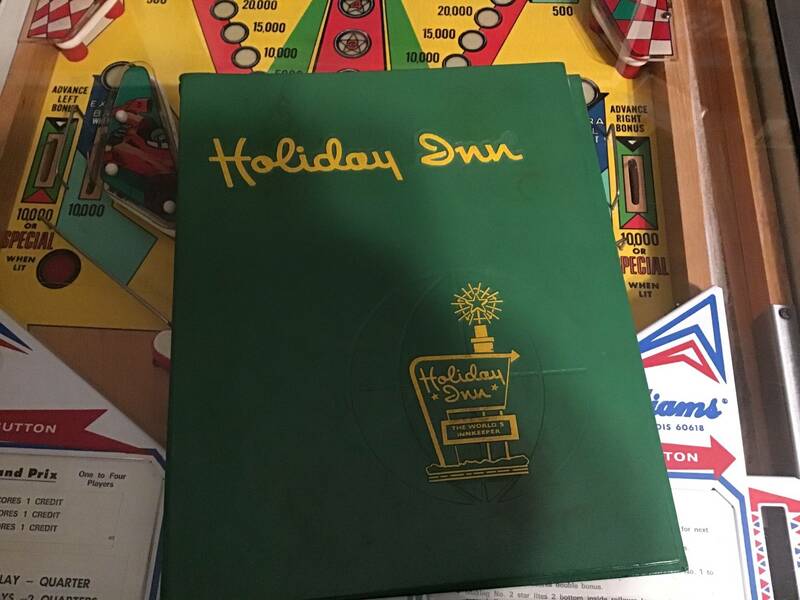 I found an old Holiday Inn phone book cover to store them. Each page tracks the 25 highest scores, plus honorable mention scores. 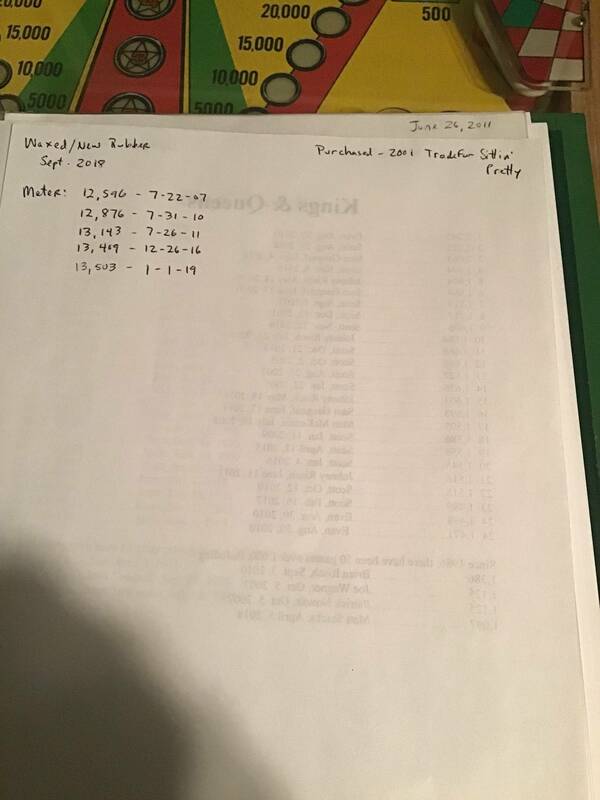 On the back of each sheet I keep track of maintenance records. 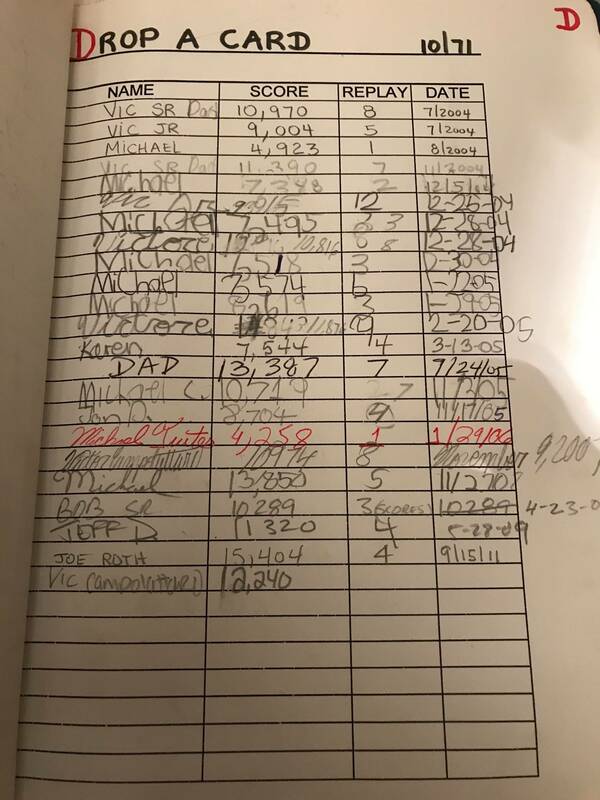 On my favorite EM... Target pool, December 2017 with a score of 13,720. Was aiming to beat Vic’s high score but fell short. Frank.... I'm glad to hear someone else out there besides the regulars that post here are playing their EM’s. I guess every EM's are just laying dormant in their collections. Your 13,720 is a great high score and I'm sure that game had your blood boiling. Hopefully you don’t beat my all time high score of 16,797 anytime soon. 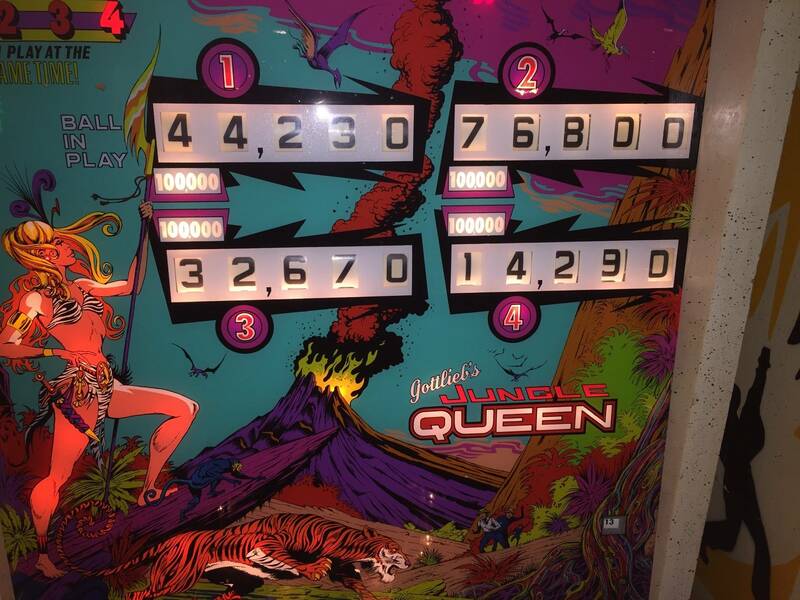 Played my 2001 the other night and turned the score reels around and ended up with 11,450 points and it felt great to get the knocker to sound off 8 times. My all time high score on this game is 16,914. Played my Target Pool last night 5 games and this was the highest score I got. i scored a 245,000 on Jet Spin Friday night but thats with the game set up for free ball at 90k and 120k. Manged to get an extra ball at 220k as well. Fun fun game. I agree...Jet Spin is a great player. I miss mine. A close friend of mind still has it and lives only 2 miles from me. I can't wait to buy it back. 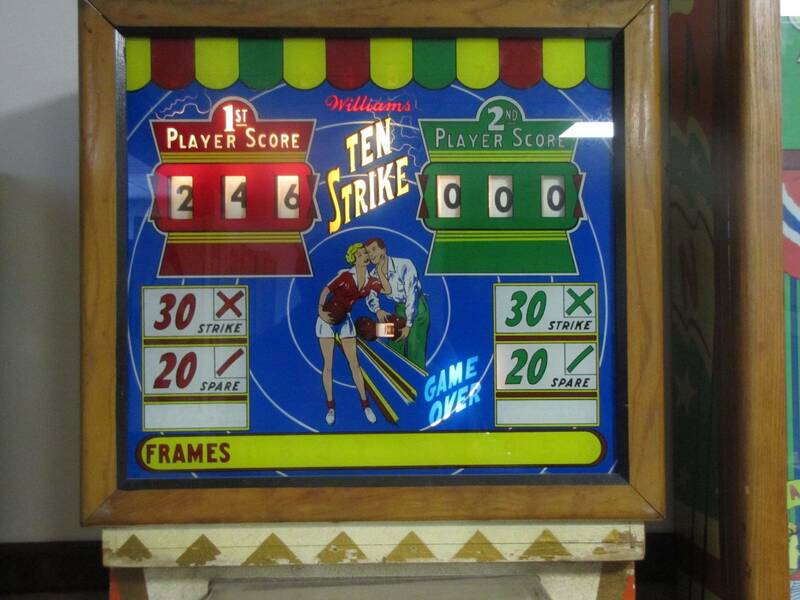 Anyway Ken....245,000 sounds like a great score. 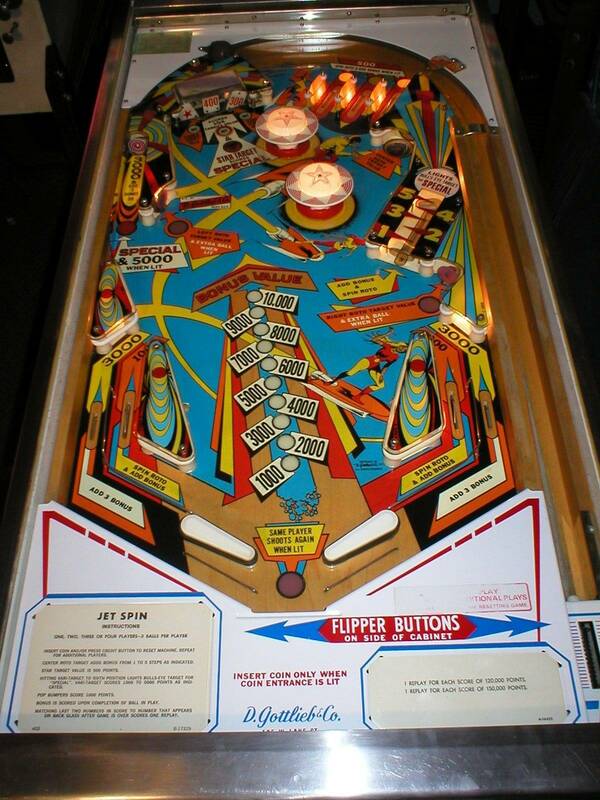 I'll post a picture of my Jet Spin high scores from my high score book. But you probably left yours in replay mode. In extra ball mode its almost too easy. certainly give it a try..
on the 3rd, 6th, and 7th shots = a free shot..
Yep still playing them, I go between the newer games and the EMs. 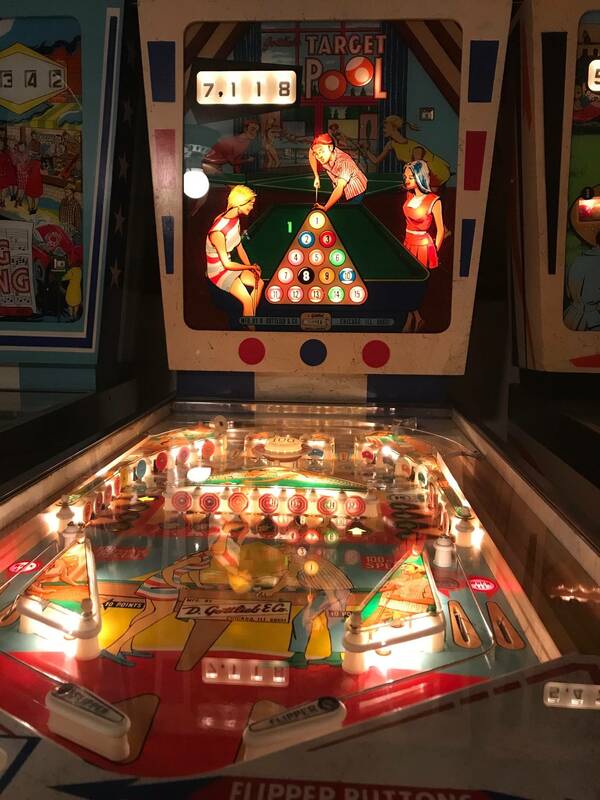 No use owning a pin if you do not play it. 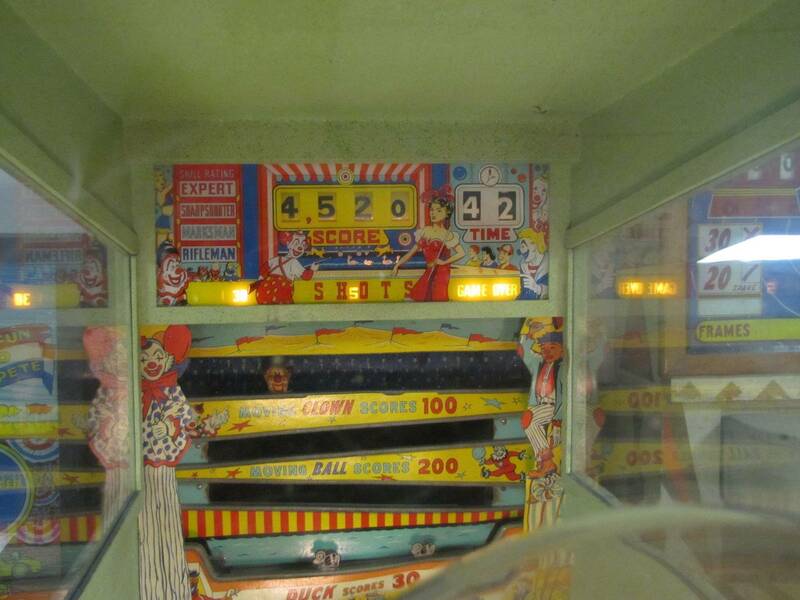 Pinside should have a high score forum that has a topic for each pin, everything time someone adds a new high score into pinside, the pin topic gets updated. Each game on Pinside has its own page. You can add your scores to the data base. The scores entered accumulate in their perspective game profile. 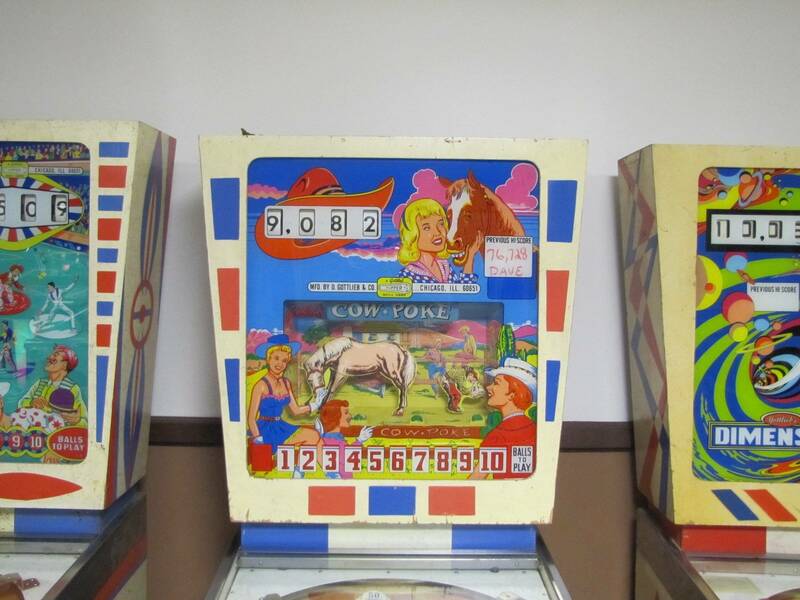 On this particular machine, I have to consider 4,000 or higher a very good score. more accurately. 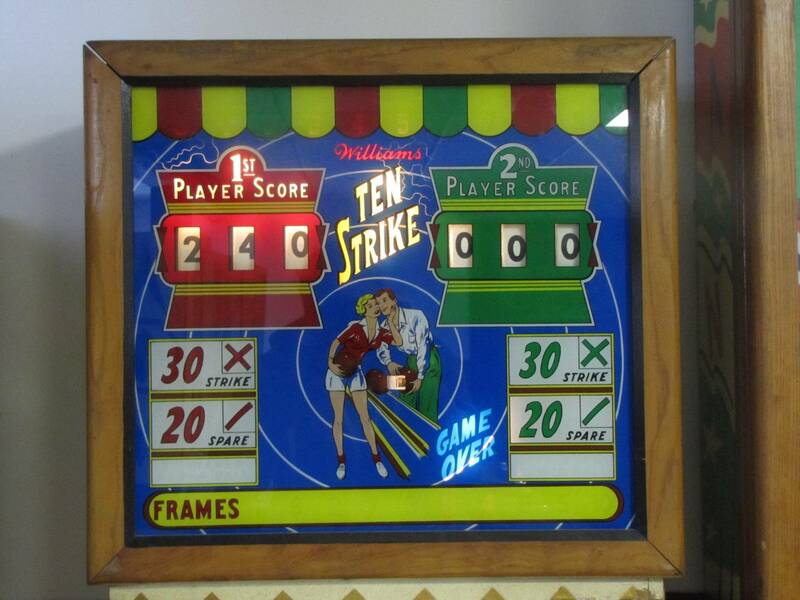 On the 7 ft. version, I'd have to say a 200 is a very good game.. I believe to be the highest since having the machine (maybe 18 or 20 years).. 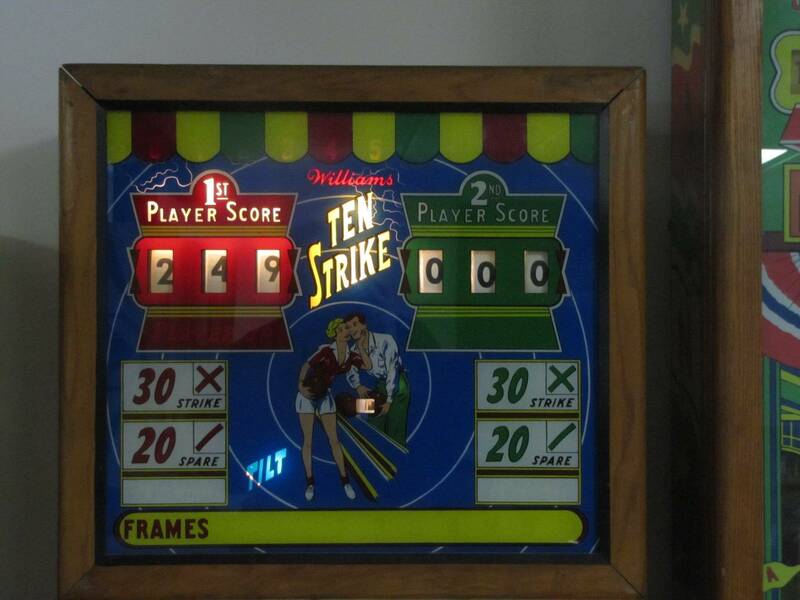 This past Saturday a Friend nickled in a 410 on the Bally "Skill Roll"..
the Ten Strike. As long as the Manikin is rolling accurately, they're a nice player.. It took me exactly 4 months, but I finally set a new high score on Team One. It's great to light up the Wow! flags on the way! 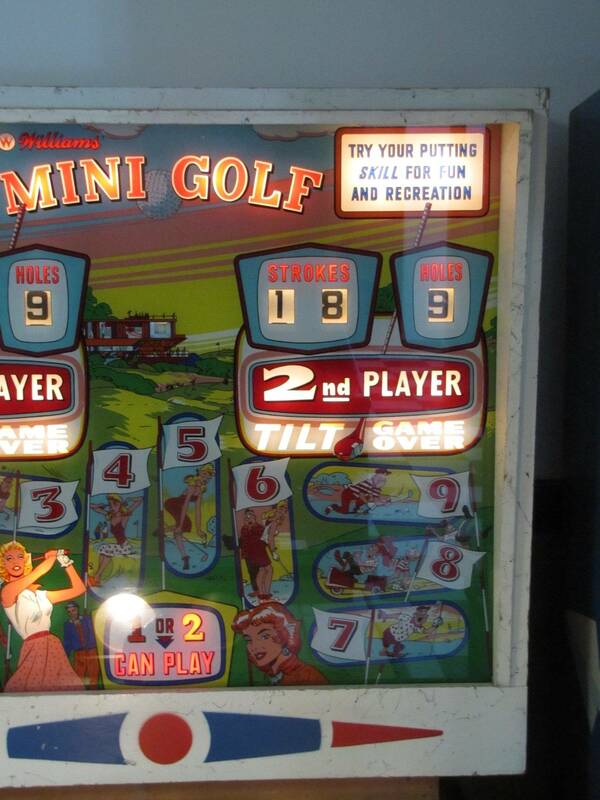 18 was played which I believe is the best score since having the machine (maybe 10 years).. 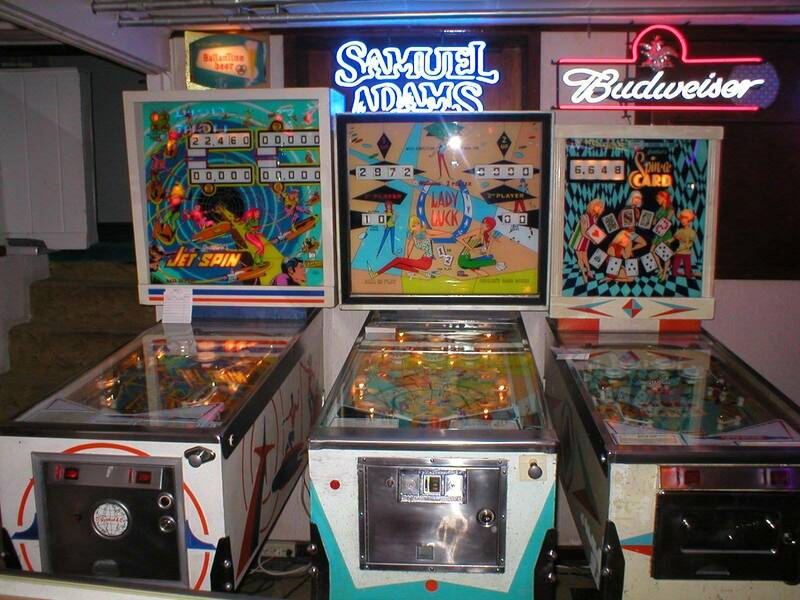 I know, I should be playing pinball more, but I did it two more times.. Pretty cool. 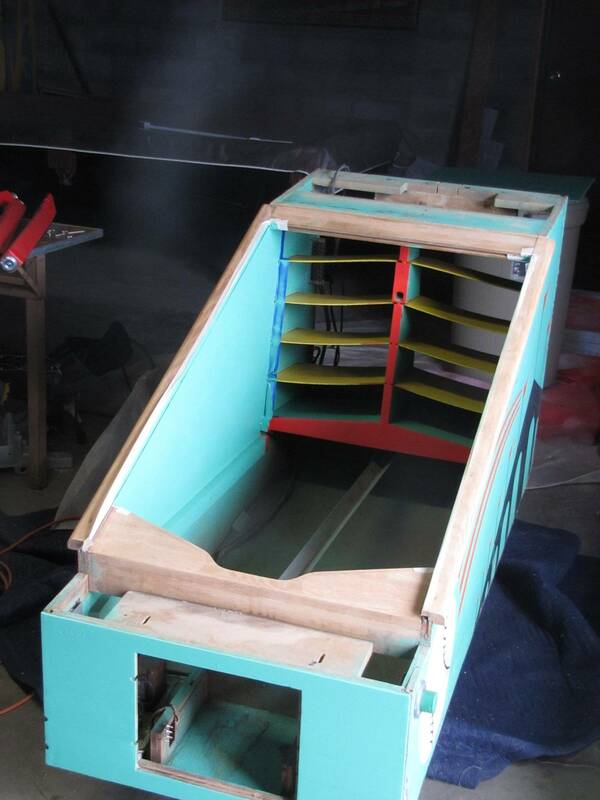 That machine looks like a lot of fun and is now at the top of my EM wishlist. I’ve scored 10 a number of times on my Little Pro. I have a couple trick shots I ‘jokingly’ offered these tips here to anyone who sent me $5.00, but had no takers. What you do is play a couple games with your ‘mark’, then offer to play for money and bet that you’ll win by, say, 4-5 strokes. (Beer should be involved in this) Then I use the trick shots. I’m terrible I know. Interesting you bring that up... 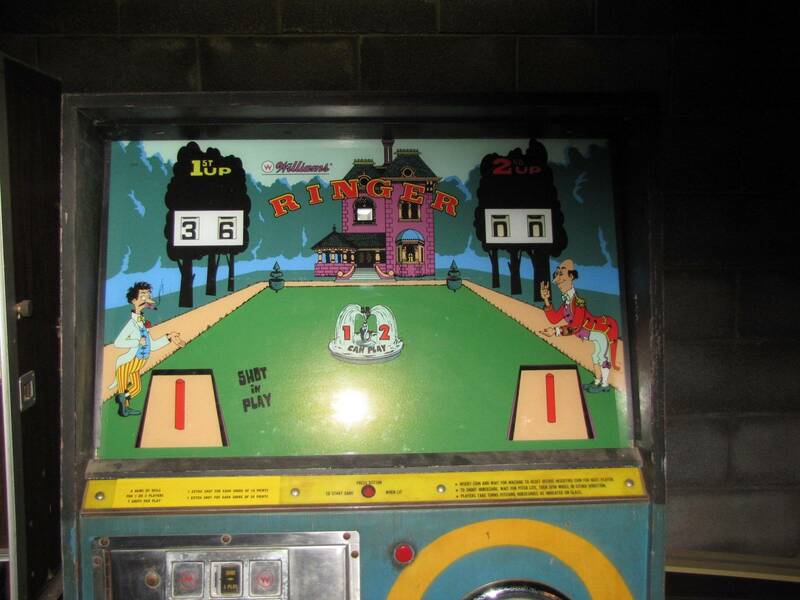 I grew up in the age of 3 inch flips for the most part, but never played this game on location; that’s odd because we rode bikes or convinced our parents to drive us around to play pins at a ton of locales in the Northern VA area... so fast forward to an Allentown show in the early 90s... there was a decent playing Jungle Princess that I just loved. Later, I found a nice one locally (except for a lot of outhole wear) and bought it. I learned kickout hole repair, touch up and clear coat techniques on it, and now I play it as much or more than any game in/my small collection. Highly recommend!! !